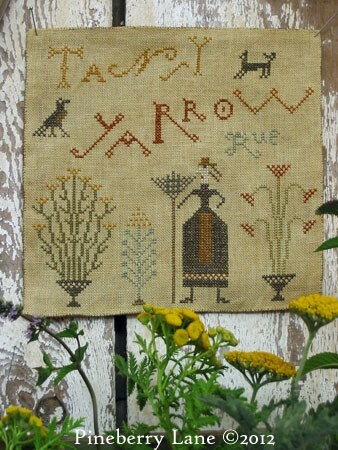 A wonderful stitching project for the garden lover. 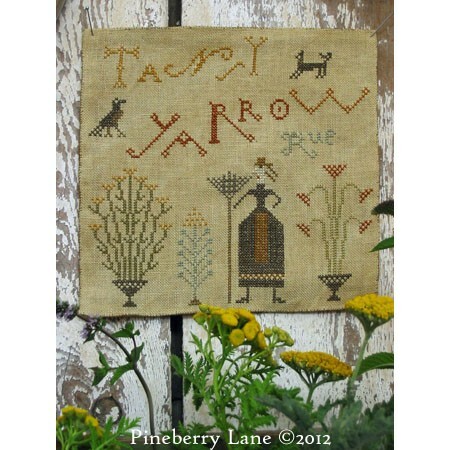 This pattern includes charts and instructions for the folky sampler as well as the trio of pinkeeps. 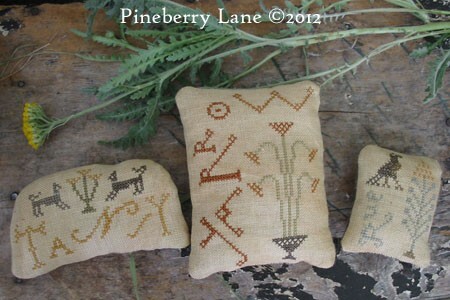 All are stitched with DMC threads on 30 count Sheeps Straw linen by R&R Reproductions. Pattern includes color photos, professional cross stitch charts and finishing instructions for the sampler and pinkeeps.